Claim page customization is available to all users with Prolific Works Pro Plans. 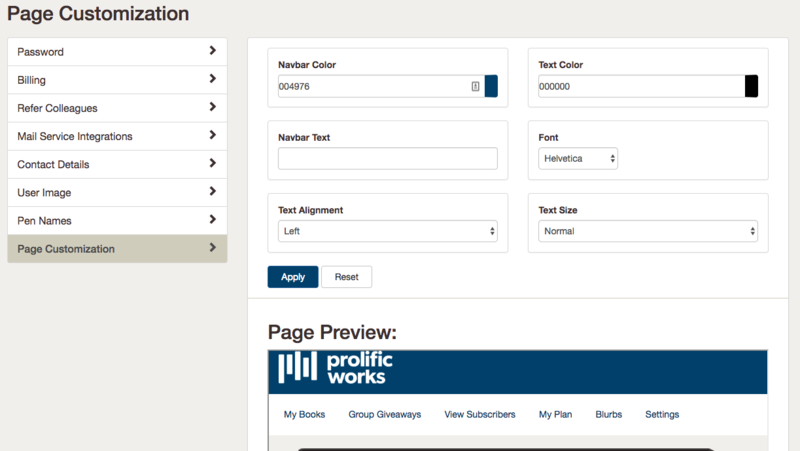 Using the Prolific Works Page Customization options, you can choose the colors, text, and font for your claim pages. 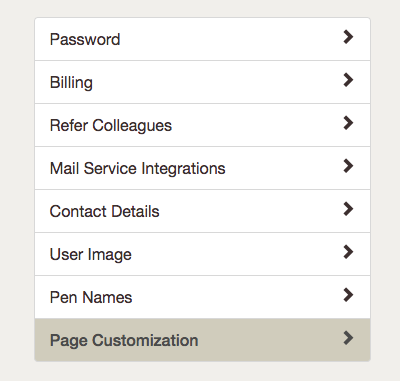 In Settings, select "Page Customization" in the bottom of the menu on the left of the screen. You can now select the text for your page to display on the top bar (generally the author's name), color for the top bar, the text color, font, alignment, and text size. Hit "Apply" to see the updates on your page in the preview. To reset your page to the Prolific Works logo and colors, click "Reset".